LJMU's Urban Design MA enables you to explore your creative potential to change the landscape of cities and urban spaces and our experience within them. In a world of rapidly rising and migrating urban populations, there is a palpable need for smarter, more inclusive approaches to city planning, adaptation and spatial design. Study Urban Design in a resurgent, UNESCO recognised city of cultural significance and advance your skills to create spaces that solve modern problems in cross-cultural contexts. This programme has strong links with the RIBA North and the Liverpool Biennial which, every two years, delivers an international programme of exhibitions and projects that lead to a rediscovery of the city. The programme is nourished by Liverpool School of Art and Design’s burgeoning research in Urbanism and close association with the University's European Institute for Urban Affairs. The curriculum has creative place-making at its core and we welcome applicants from a variety of educational and professional backgrounds such as architecture, planning, landscape architecture, art and spatial design. As a graduate of this programme, a number of career paths will be open to you. Most aligned with your formal education is the practice of urban design work in specialist agencies or public sector bodies. These roles consider how structures and systems function within existing landscapes and how they can be manipulated to offer the best living and working solutions. Liverpool contributing to its evolution by taking key roles in leading practices that have reshaped the city over the last decade. For those interested in taking their learning to the next level, this programme also offers the opportunity to progress to PhD study and embark on a career teaching Urban Design. This module explores the potentialities of urban design as a method and tool for urban regeneration. It facilitates students in the consideration, design and presentation of ideas for the spatial development and regeneration of towns and cities. This module enables you to plan, organise and deliver a major project, through effective time and resource management, demonstrating a high level of critical engagement, creative achievement and appropriate technical ability. It also develops your ability to speak coherently about your work and enhance your capacity to engage in focussed research and scholarly evaluation. The majority of contact time takes place on Tuesdays, with sessions on Fridays and the cross-school Collaborative Practice module sessions at the beginning of semester one. This module culminates in an exhibition of student work in April. Teaching is individually tailored to each student. Each week is divided between lectures, seminars, tutorials, studio supervisions and workshops. LJMU academics bring real world experience to the programme, working with nationally recognised urban design practitioners, local authority planning and urban design departments and international academic partners on urban projects, public exhibitions and related publications. These interactions help to ensure that our curriculum is kept up-to-date and that you secure the knowledge and skills required to succeed professionally on graduation. Assessment methods on this programme include: a major project proposal report, practical project work, a major project thesis and a personal development plan. You will also be assessed for the quality of your drawings and model making. Ian has taught architecture in Austria, Slovenia, Malaysia and Turkey and with collaborative partners from Sweden, Germany, Holland, Hungary, Portugal, Belgium and Greece. 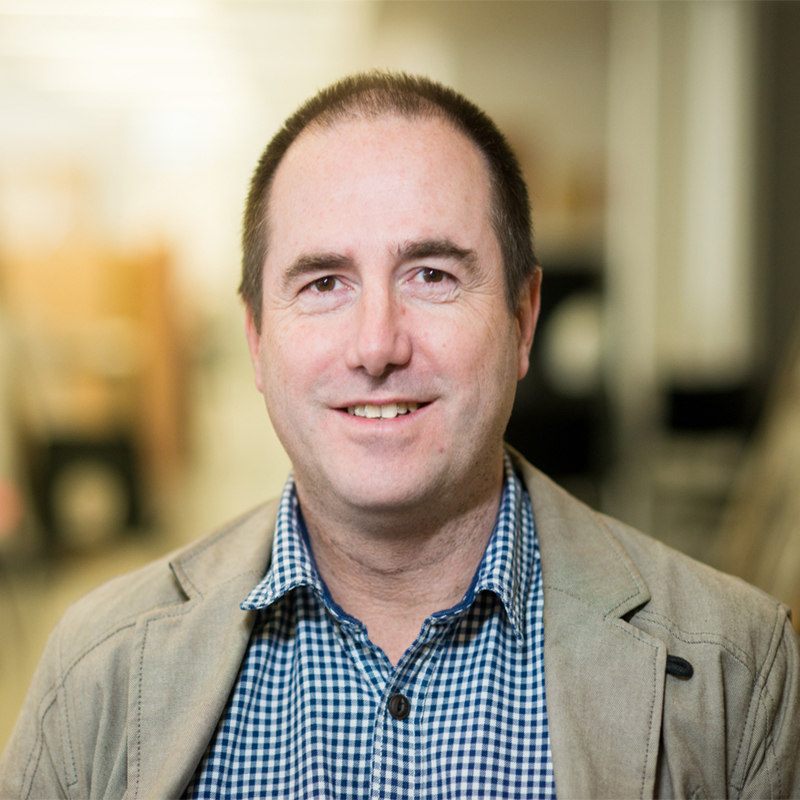 A registered and chartered architect, Ian worked for over 20 years in a range of multidisciplinary practices before forming his own design company in 2001. Ian’s research focuses on the analysis of cognition in the creative process. He is interested in: cognitive bias, judgement heuristics and the validity of commonly used design quality indicators. In recent years he has focused on the effective measurement and enhancement of processes and practices in the briefing, conceptual design and post occupancy evaluation stages of the building design process. I enjoy all forms of studio based teaching. My passion is project-based learning that brings a wide variety of knowledge and abilities into play to explore germane lines of intellectual and practical inquiry. The programme is based in the Liverpool School of Art and Design’s John Lennon Art and Design building, part of the Mount Pleasant Campus. This purpose-built facility in Liverpool city centre encourages interaction between different disciplines and the sharing of ideas and expertise. Your application should demonstrate that you have a sufficient level of knowledge to embark upon the programme (including the required linguistic competence) and complete it within the time limits.